It's time once more for a refresh! 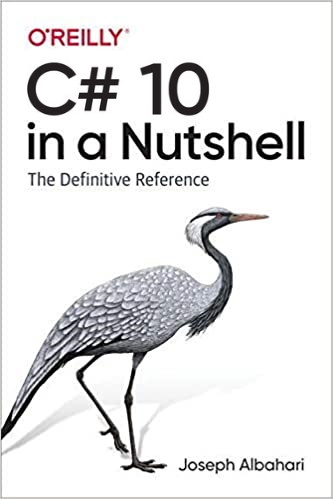 C# 7.0 in a Nutshell builds on the acclaimed previous editions, featuring input from top technical reviewers, with new material on tuples, deconstructors, pattern matching, discards, and more. The popular interactive .NET scratchpad keeps getting better: LINQPad now supports C# 7 and VB 15, as well as F# and SQL. Put an end to those hundreds of Visual Studio Console projects cluttering your source folder, and join the revolution of LINQPad scripters and incremental developers! The ten most common misconceptions, and how they set people awry. Dynamically building LINQ expression predicates This describes a simple and elegant solution to the problem of dynamically composing Expression<> based predicates in LINQ. Speeding up LINQ to SQL Three ways to squeeze the maximum performance out of this technology. 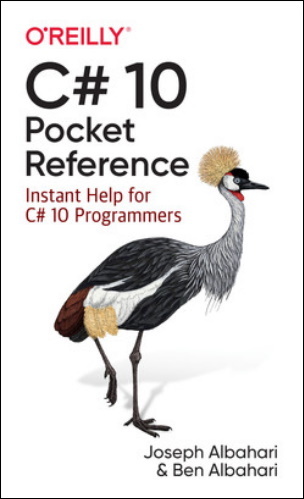 Value Types vs Reference Types A tutorial explaining how value and reference types work in C# and .NET. This covers the differences in the way objects are created and disposed, how memory allocation works, and common traps.